city packers and movers are one among the few accredited moving and storage companies in India that offers door-to-door delivery of valuables along with safe storage of goods at a safe place. 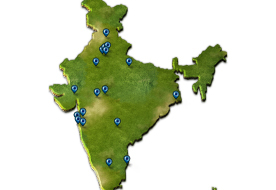 We render professional and timely delivery of goods to any urban or rural place in India. We have specialised team of qualified and trained workers, with immense experience in moving and storage of non-perishable, delicate and heavy goods. We have devised a systematic step-wise order to render services within time. We use the best vehicles, international packing materials, synchronised labels and comprehensive warehouses to storage and moving your valuables. We strive hard to gratify the needs of major corporate offices, residential buildings, offices, businessmen, etc. many more. Our extensive warehouse has spacious, ventilated and well-protected sections. We offer moving and storage services to various big or small businesses, as our full-size warehouse has the capacity to encompass consignment of any size. For efficient storage and moving, client’s goods are stored under optimal temperature, dry and fire-protected area which is well-connected with transportation facilities. City packers and movers has gained recognition as the best moving and storage companies in Mumbai, with a solemn commitment to provide consumers with premium quality services at affordable costs.